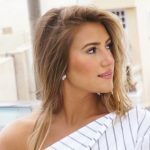 Meet Me in Mykonos - Deshira B.
July 7, 2017 by Deshira B. Dubbed the party town of the Greek islands, Mykonos offered great weather, amazing beaches, and a town that bred a good time. Mykonos was the perfect place to enjoy a day by the beach with a cocktail in hand and walk the town at night to the buzz of diners and partygoers. 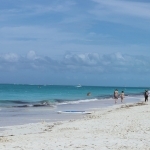 The vibe on the island was one that just made you feel alive, energized; yet also so relaxed. 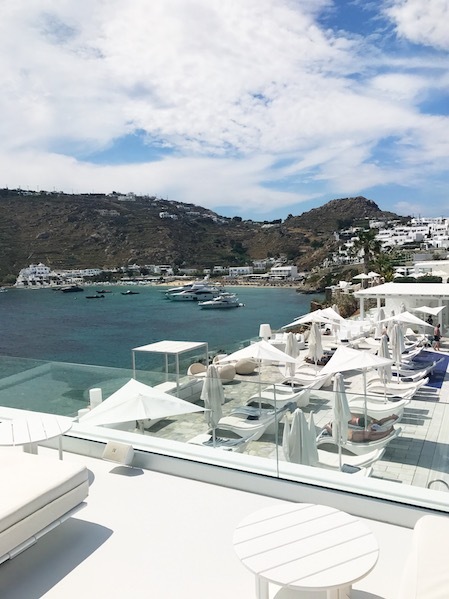 My husband and I really took Mykonos as our destination to relax and indulge in the sun. We spent our days on the upper deck of our hotel on incredible beds tanning or the private hotel beach with a ladder that led right into the ocean. 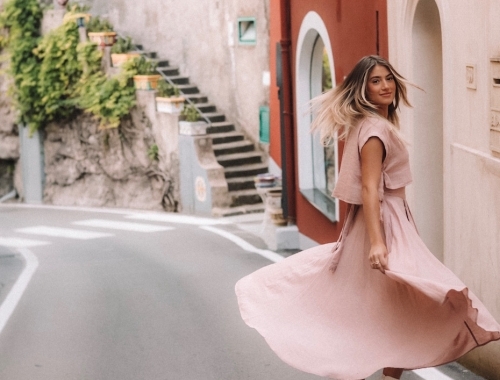 Our nights consisted of some of the most memorable meals, shopping some of the greatest boutiques, and exploring the town at its peak hour. When searching for a hotel in Mykonos, the choice was fairly simple. Petasos Beach Resort and Spa was the winner based on location and outdoor area. The pool and beach at Petasos were perfect, private, comfortable lounge furniture, and incredible views of Psarou Beach. The hotel’s style was modern with pops of color, really picture perfect. The cocktails were amazing; I still crave the tropical colada! 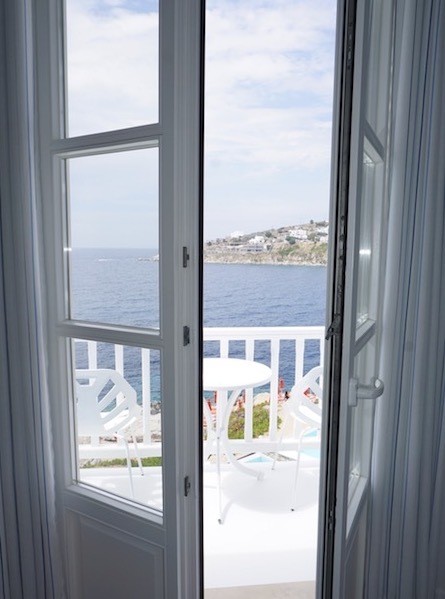 The key to the resort was its location, close proximity to the bus station, allowing for easy travel into Mykonos town, but far enough away from town to be able to enjoy a little down time. I would say if you are looking for luxury rooming, definitely splurge on a room upgrade. M-Eating in Mykonos Town featured authentic Mediterranean cuisine. The honey pie dessert is a must try. Remezzo in Mykonos Town had an amazing atmosphere and great cocktails. This place is ideal for group dining. 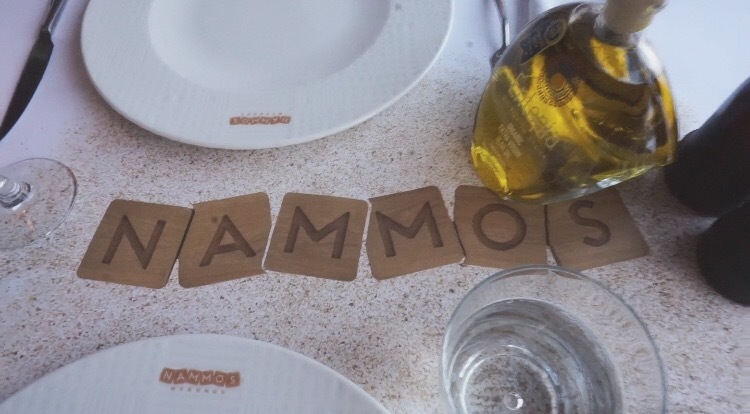 Nammos in Psarou is a must in Mykonos. 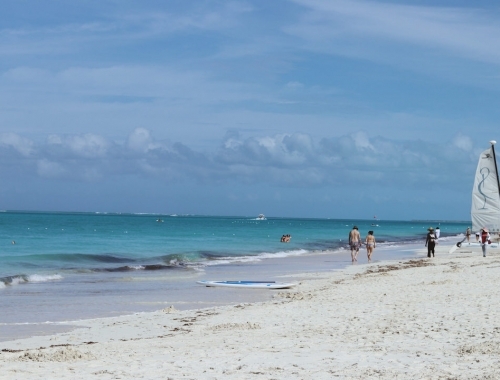 It offers a lavish dinner with a great beach view, amazing décor, and mouthwatering food. Pepper in Mykonos Town is a great spot for lunch, small, but spectacular authentic Greek food. Trio Bambini had waffles and crepes that were delicious. My sweet tooth was totally satisfied here. 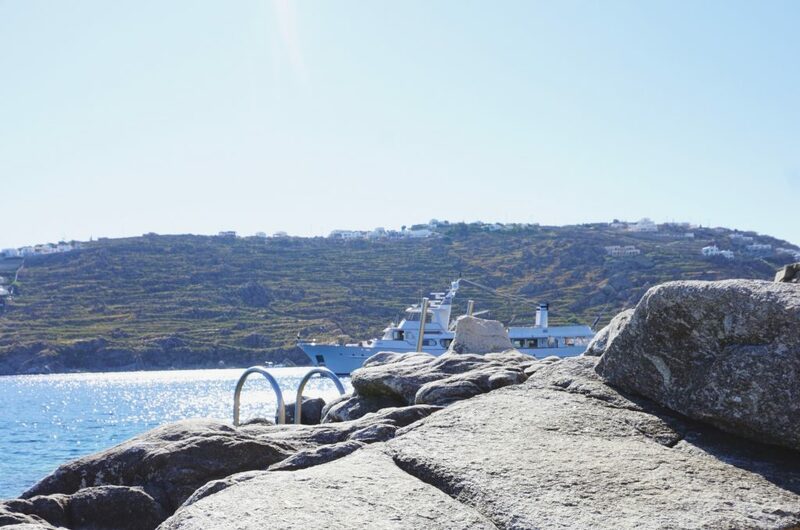 When to visit: be very aware of peak season in Mykonos, it is a very popular summer destination. For the best parties, June through August is the best time to visit the island. If you are looking for a bit more relaxed environment, May and September would be better options. Taxi/Car: Taxis are not always available in Mykonos, so renting a car or ATV is very popular on the island for tourists. Another affordable option is hopping on the bus, it’s a quick ride into town. Comment below if you have any questions about Mykonos or feedback on this post. If you’re interested in connecting with me – say “Hi!” on Instagram, Facebook, Twitter, Pinterest, or YouTube.